A lot of people assume that if they spend more money on a luxurious hotel, then their accommodations would assuredly be better. 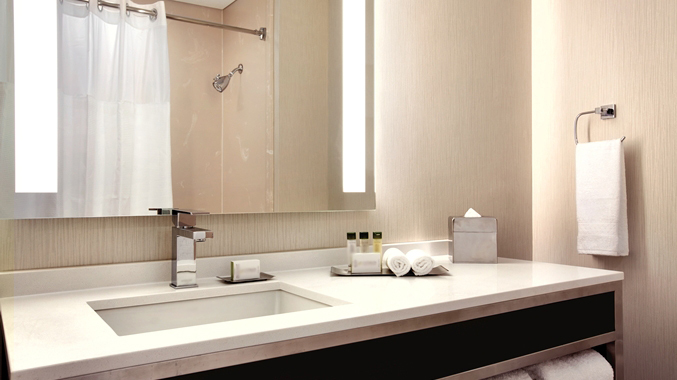 Cleanliness is normally at the top of most of our concerns while traveling and as such, we equate more expensive hotels with a “cleaner” environment. However, a study conducted by Travel Math found that high-end hotels aren’t always the better choice. In order to compare the difference between the variously starred hotels, the Hotel Hygiene Exposed team gathered 36 swabs from nine different properties. Rooms were tested for the presence of various types of bacteria (including bacilli and cocci), yeast, and gram-positive rods (bacteria that cause various ailments such as skin infections and pneumonia) and gram-negative rods (bacteria that cause respiratory and other infections). Although travelers will generally spend more money for a five-star hotel compared to a more basic three-star hotel, the test revealed a greater amount of bacteria was found at more lavish accommodations–by a long shot. 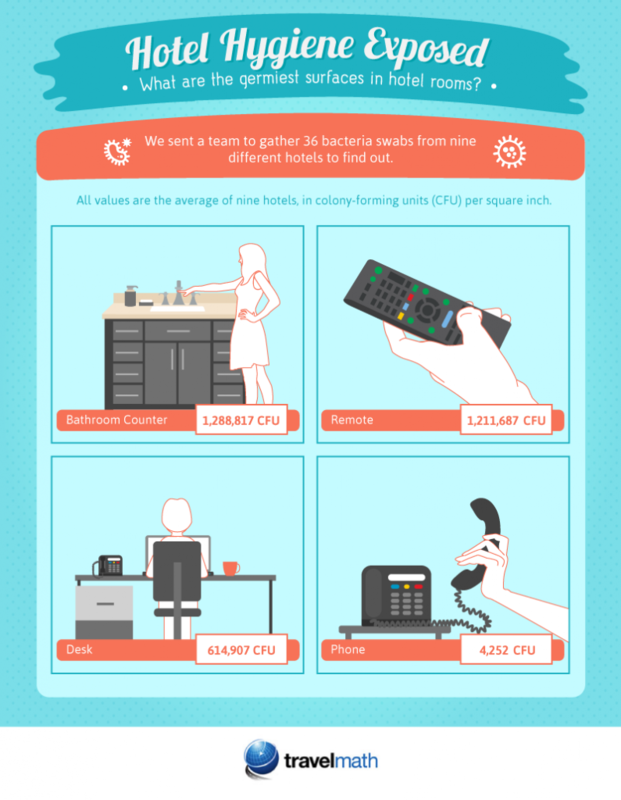 In all of the hotels, the bathroom counter was the most bacteria-laden surface, followed by desks. Bathroom Counter: 1,288,817 CFU/sq. in. Remote Control: 1,211,687 CFU/sq. in. The Sinkboss team was surprised to learn that the phone wasn’t actually that dirty in comparison to the other surfaces. Part of this could be attributed to the fact that most people don’t even use the room phone these days. What really shocked us though was the Bathroom Counter and just how disgusting it is. Is this the surface you want your baby’s items touching? Sinkboss helps solve this problem by creating a barrier between those CFU’s and your baby’s kitchenware.